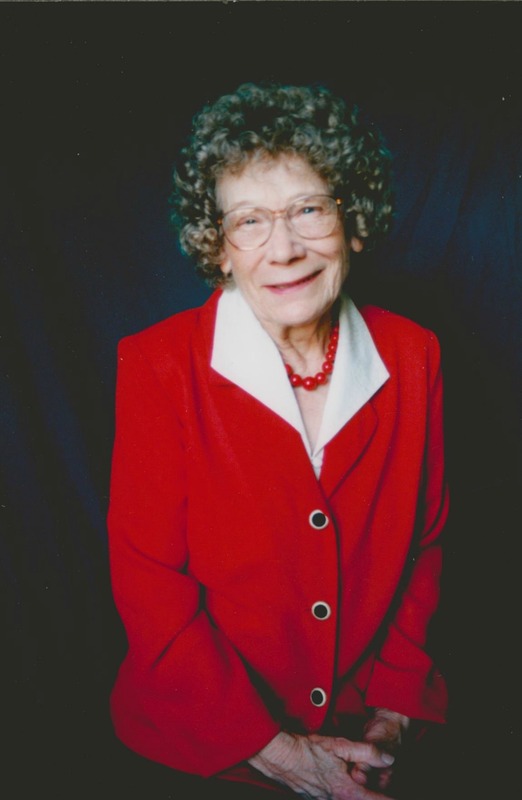 Constance Elvera Nilson Lillie, daughter of Carl Eric and Constance Petterson Nilson, was born February 24, 1918 at Salt Lake City, Utah, passed away April 20, 2018. Connie (Vera) attended school in Salt Lake City and graduated from South High School. She married Randall James Lillie August 19, 1938. They had four children: Karen Johnson (Walter), David Lillie (Rea), Elaine Fish (Norman) and Annette Lunt (Keith). Wanting a warmer climate, they moved to Arizona June 1964. Here in the Phoenix/Mesa area they enjoyed their family, friends and readily made many new acquaintances. After being in poor health for several years, her husband Randall died March 29, 1982. She was preceded in death by her brother Ellmond, her husband Randall, and a daughter Elaine. She is survived by 3 children, foster daughter Delores Hyden, 30 grandchildren, 60 great-grandchildren, and 21 great-great grandchildren. Funeral services in Arizona will be held at 2:00 PM, Thursday, April 26th with a visitation one hour prior at The Church of Jesus Christ of Latter-day Saints, 825 S. 32nd Street in Mesa. Funeral Services in Utah will be held at 2:00 PM, Saturday, April 28th at Larkin Sunset Lawn, 2350 E. 1300 S. in Salt Lake City Utah with interment to follow also at Larkin Sunset Lawn Cemetery. The pain of losing a loved one is oh, so real. May you find some comfort in the Most High God’s word (Psalms 83:18) . Yes, He promises a time when we can see our loved ones again(Acts 24:15) in perfect health (Isaiah 33:24) and He says where: Psalms 37:11. May you hold on to God’s promises.